Virginia C. Elliott, age 87, peacefully passed on to her home in heaven on Monday, April 8, 2019. 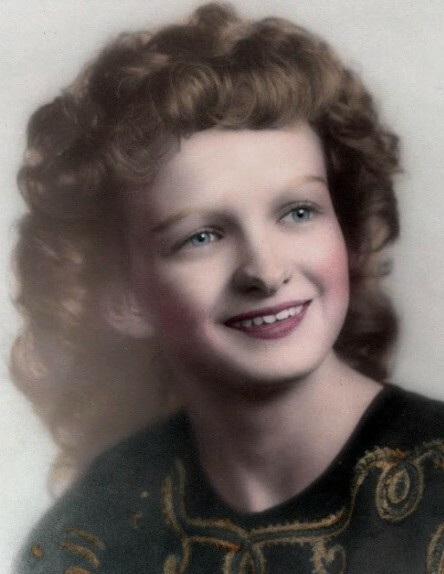 Born January 1, 1932 in Wauseon, OH, Virginia was a beacon of faith to all who knew her, especially to her five children whom she raised with a heart of love, strength and determination. Virginia played hymns on piano and organ most of her adult life and loved Christian music of all forms. She loved reading, studying the Bible, discussing news and interceding in prayer. After a full life of raising children in various homes and churches, Virginia spent time caring for her father, Ralph, in Oak Shade, OH. Her occupations were varied, but she most identified with labors of love in the home. Virginia moved to Fort Wayne in 1997 to be near family. Virginia's parents, Ralph and Gladys Lemon, her sister, Elaine Beck, and her third son, Kevin Elliott, preceded her in death. Left to honor Virginia and remember her love is her sister Marilyn (Jerry) Jones; four children Larry (Teresa) Elliott, Kim (Jana) Elliott, Pam Elliott, and Mike (Maija-Liisa) Elliott; eleven grandchildren Nick (Tricia) Elliott, Jamie (Scott) Beck, Spencer (Ashley) Elliott, Rachel (Kaleb) Carter, Jason Knight, Jeremy Knight, Tikva (Haye) DeJong, Shiriel (Aviel) Yahov, Liel Elliott, Tohar Elliott, and Yohanna Elliott; and sixteen great-grandchildren: Brittney, Tyler, Morgan, John, Ella, Ayllsa, Ian, Bryanna, Joshua, Ethan, Esther, Gabriel, Eliron, Eliad, and Benaya. Virginia will be remembered as a prayer warrior and one who quietly influenced others for His glory. Her loving presence and prayers will be greatly missed by all who knew her. A memorial service will be held at Holy Cross Lutheran Church Chapel on April 27th at 11 AM. A gathering will follow in The Aulick Center. Memorial gifts in Virginia’s name to Cross Border Partners, 4611 Newaygo Road, Suite A, Fort Wayne, IN 46808. There's still time to send flowers to the Memorial Service at the Holy Cross Lutheran Church at 11:00 AM on April 27, 2019.